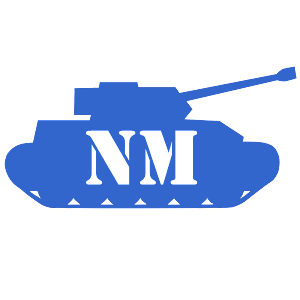 Another WoT nominal damage value rebalance has been performed to better (re-)balance tanks, taking into consideration the changes made by WarGaming in the latest patches. As before, the damage values can be found at http://www.noobmeter.com/tankList. Thanks go out to crux_tm, ufoncz and others for their help on this. Edit - on average, expected average damages have been raised by 2.6%, so in many cases your PR rating will go slightly down - but that applies to everyone. Edit - adjustment to PR formula made so that average damages for tanks remain the same, so the rebalance should lower some ratings and raise others, depending on the mix of tanks played. Down-time was experienced today due to moving to a faster database server. I'm hoping this will help the performance of NoobMeter, as the number of people using it and thus the database size seem to continuously increase. Please let me know in the comments if you think performance is an issue or not, and on which functions in particular. If I don't hear from you, I will focus more on new features rather than performance optimization. "Why have my ratings changed!?" I'm getting quite a few questions about changes to rating values, mostly in the form of "why have my ratings changed?" The short answer is - ratings have changed because 0.8.6 did a big artillery reshuffle. Basically, most of the high-tier arties got raised a level or two in 0.8.6, so for people who played these SPGs their average tier went up. And because all the ratings use average tier information (some directly, some less directly), the ratings change from that (most by quite small values). I have already adjusted Performance Rating a bit to compensate for that (for example, I removed the "average tier adjustment" of +2 tiers for SPGs that was there). Still I will check later on if more tweaks are needed. For WN7 and ER I don't control these formulas so I will wait until their creators decide to change them (or decide to leave them as they are). But in any case - these changes apply consistently to everyone, and I retro-fitted them to previous snapshots to avoid any strange "ratings jumps", so hopefully they don't cause much disruption. P.S. Also, the biggest confusion is for servers where 0.8.6 is not applied yet, so they will see their t8 arties as t10 arties already in NoobMeter. Hopefully they get 0.8.6 soon and all is well again. P.P.S. Creators of ER rating have declared they will not adjust the ER formula, but will adjust the way it is interpreted. The inconsistent data problem appears to have become worse for the EU server. If previously WarGaming didn't include M4A2E4 Sherman and KV-220 Action into its feeds any more, then now also M6A2E1 tank (the t8 heavy that looks like a goose or something), M60 Sherman, E-25 and others are missing. If anyone has any direct or semi-direct WarGaming development contacts, I'd be quite interested to have a short chat with them to explain the issue, as I'm not sure my support tickets are reaching the right people. There have been some issues with nightly updates in the last few days. The first reason was that I botched a disk array update which was needed as the old ones couldn't cope with the workload, and it had some lagging effects with the update jobs not firing. Recently I found a second issue - WarGaming have slightly changed the URLs used to search for user data in 0.8.6, and NoobMeter was still using old ones, therefore not getting data updates from WarGaming properly. I've fixed this issue now, and restarted the data update manually, so it should work now. The remaining issue is, of course, the artillery reshuffle for which I have to update the parameters in the database. I expect it will take a bit of time to iron out all the issues (though of course that applies to all ratings, not just Performance Rating). In any case, thanks to everyone who is supporting NoobMeter, whether by donations or by reporting problems so they can be fixed. The database server was acting up and not letting me do backups properly (after I migrated to the new disk array). I thought a reboot may help, but a reboot kind of killed it altogether and it wouldn't boot any more. I'm now doing a reinstall, then will re-attach the database, then will boot it up again and hopefully it works without any data loss. But for now NoobMeter is down and the most optimistic scenario has it back up in about 1 hour. The most pessimistic is a lot worse. Edit - And it's back and it only took about 40 minutes. But I may have to retry the exercise at some other time as it's still not behaving properly. I've had to make some changes to signature functionality. The previous functionality had some subtle problems, which combined with the continuously increasing user numbers lead to instability of the whole NoobMeter.com website at times. During this and last week I've tried to resolve it, but without success. Therefore I made the decision to change the whole approach to generating and serving signatures to offload the server. There are some side effects - signatures will be updated on a nightly basis and only for registered users for the main account linked. Also, the "unofficial colour customization features" no longer work. I need to think about how to add them back properly - I would have liked to do it before making the change, but having the server having issues nearly every day, even if only for some minutes, is something I felt is a bigger problem. In the end, I expect this change to lead to a more stable NoobMeter.com server. The Vietnamese server has changed the URLs (getting 404 errors on links that worked before), statistics updates for Vietnamese players are no longer possible until I know what it was changed to. So please - if you have an account on the Vietnamese server, drop me a message - I will explain what I would like you to ask your community administrators to make sure NoobMeter works for you again. Or if you know what the URLs were changed to, please drop me a message too. Thanks!